A recent article in the New York Times investigates two types of students. There are the warriors, who thrive off of high stakes and sudden stress situations. They have fast acting enzymes that can quickly clear dopamine that builds up in high stress situations. Then there are the worriers. These are the students that need to plan ahead and get stomach knots when faced with a high stakes test. 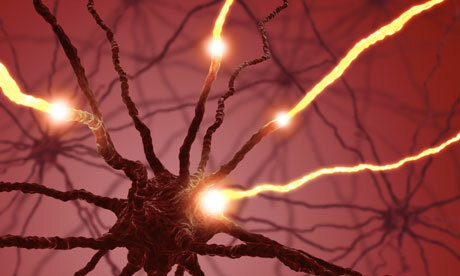 They have slower acting enzymes that clear dopamine from the brain in stressful situations. These students can usually concentrate well, and have an advantage in problem solving and planning. Of course there are students that have a mix of the two as well. Apparently you get one gene from each parent, so you can have a mix, or be purely worrier or warrior. I will be the first to admit I am a worrier. The past two weeks of high stress have demonstrated this, as I am now sick and stuck in bed. I do not handle high pressure and last minute stress. In fact, I get to the point where I become physically ill from the stress, which is where I am at now. I became so sick, that I had to cancel an important research trip. Thus, I find this article a fitting one to write about. The debate about the best academic environment is an interesting one. I am huge proponent of education. I also think students should be rewarded for hard work. We need a way to measure the ability of a student, but I have never been convinced that grades and tests are necessarily the best way. In high school, I was the valedictorian on my class. I stressed constantly about getting perfect grades and completing each homework assignment to perfection. I would start each assignment ahead of time though, as it was impossible for me to do any assignment the night before it was due, as it would turn my stomach in knots. In hindsight, I should have probably given slightly less of a crap because there is more to life than getting good grades, but the past is in the past. So, I got excellent grades. I don’t know that this necessarily means I was smart. In fact, there was a whole other aspect of the academic world that I was not, and am still not good at. This is the dreaded standardized test. While I didn’t necessarily “fail” at these sorts of tests, I have always received a far lower score than one that reflects my problem solving ability and knowledge. I even scored so low on the ACT, that it disqualified me for several scholarships. On the other hand, I have several friends that are the complete opposite. They love to procrastinate. They do amazing on standardized tests, and have no problem going into tests with little to no studying. However, when it comes to these students succeeding at a long-term course projects, the procrastination thing doesn’t work out so well in their favor. I love comparing the experiences of different types of students. It is interesting to discuss what makes a class something that all types of learners and students can benefit from. I’ve found that my favorite classes were the ones with projects and labs. Spending time preparing and creating something was always fun for me. The classes that were purely test based were the ones I dreaded. If there were pop quizzes added in through the semester, it turned into a recipe for disaster for me. An ideal class might combine all sorts of learning techniques, which include tests, interactive lectures, group work, long-term projects and shorter-term homework assignments. There are different types of learning subgroups even beyond the warrior versus worrier to think about as well. I would love to see more variability in academic courses. Then, of course this takes a lot of work and planning on behalf of the instructor, and that is something that just isn’t recognized or rewarded enough in the busy academic world for many instructors to embrace it. What kind of person are you? A worrier or a warrior? It does not help women. At least according to a study done with history professors in academia. I realize this study did not focus on STEM fields, but I do notice something similar occurring in my area of study. I’ve had this discussion with many of my female friends as well. What happens when you are a female academic and you want to have a family? It seems that much of the expectation and responsibility falls on the women. I’ve heard some people say it seems un-masculine for men to take paternity leave. Many of my mentors and role models are men who have wives that not only take care of the kids, they take care of day to day living tasks like paying bills, buying groceries, car and house maintenance, and anything else non-work related. My own mother was one of these amazing women, and there is no doubt it helped my father succeed. Yet, when it comes to the complete reverse, I don’t see it happening. In fact, looking at all of the women I know as mentors in academia, none of them have a thrifty stay at home husband. That’s not to say it never happens. I’ve certainly encountered a few stay at home dads outside the academic world. However, it comes as no surprise that marriage is still statistically a detriment to women. Something that I am seeing more often with the younger and newer generation of employees is dual parenting. Men and women are splitting the duties of child rearing more often. Technology has allowed for more flexible work schedules, or just working from home. So, now it is easier for couples to split up time at home with a child. Maybe it is not longer maternity leave that we need to keep women in the work force. Maybe it is offering more flexible schedules to women AND men. Not only does it offer children time with both parents, it would eventually phase out discrimination women may face about being the ones to take time off from work for family issues. But we must not forget that woman are, on the average, a little less intelligent than men, a difference which we should not exaggerate but which is, nonetheless, real. We are therefore permitted to suppose that the relatively small size of the female brain depends in part upon her physical inferiority and in part upon her intellectual inferiority. 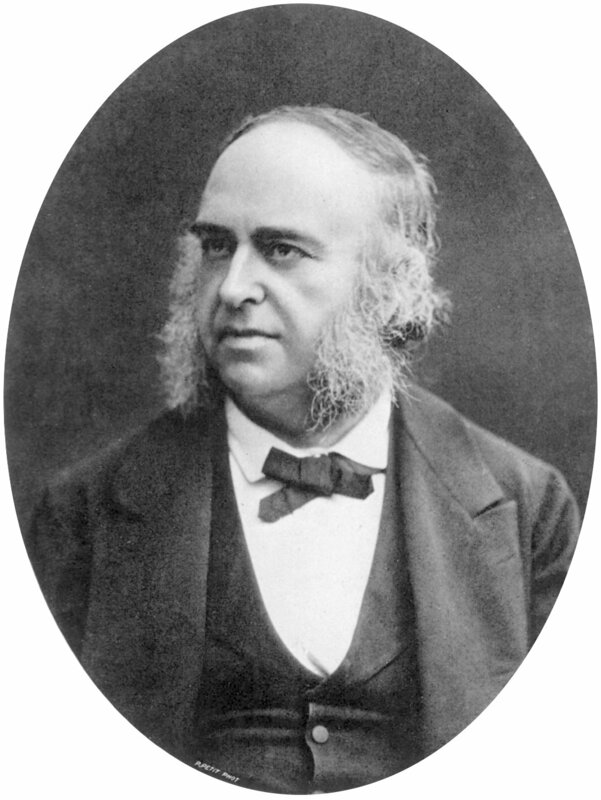 Back in the mid 1800’s there lived a professor named Paul Broca. His work on the brain was instrumental in brain anatomy and anthropology. He determined the part of the brain associated with speech, revolutionizing our understanding of human speech. His work was thorough, and he was ahead of the times in his scientific thinking. However, even the best scientists can be influenced by social bias. Paul Broca performed measurements of cranial sizes of male and female skulls, and found that the female cranial size was smaller. Was the measurement correct? Well, to a certain extent, yes. Yet, the problem with the study was his conclusion. A great summary of some of Broca’s study can be found in this essay by Stephen Jay Gould (PDF). The issue is that there are numerous factors that may lead to intelligence, and not all are linked to brain size. In fact, with newer technology, we have also found that it is neural connections within the brain which make a great contribution to intelligence. Now, the time of Paul Broca was very different from modern day. You would think something like using brain size to prove women are less intelligent would be a thing of the past. Not necessarily. A study from 2006 by Philippe Rushton claimed that men were on average smarter than women due to brain size. This debate was still going on in 2006. This same author published a paper in 2002 citing differences in brain size in different races are what cause the IQ differences. The paper, called “Brain size, IQ, and racial-group differences: Evidence from musculoskeletal traits,” in which the concluding sentence of the abstract states “brain size-related variables provide the most likely biological mediators of the race differences in intelligence.” [Rushton, 2002]. When coming to scientific conclusions, it is important to remember that correlation does not imply causation. The ultimate problem with studies like these is that they completely disregard cultural and societal contributions to intelligence. For instance, we are just now coming into a time where more women are applying to college than men, and more equal opportunities are available to minorities and women. To end, I leave you with the most recent tidbit of information I could find. For the first time in recent history, women are scoring higher on IQ tests than men. So much for that publication citing the reason for women’s lower IQ scores was due to their brain size. I sit hear scanning papers, clicking on my computer, scanning papers some more, thinking about the mathematical equations and how they can be used to solve problems. I hold the academic papers like a tomb of truth from which information can be gleaned and used to discover more things about the world. When I started this blog a very short time ago, I wanted to share facts about things I found interesting. I also wanted to bring attention to things within our society that I think need to be changed. I’m struggling with the best way to do this. There was this part of me that was hesitant to share my own thoughts and experiences while stepping away from the safe word of facts and academic publications I am used to. One personal experience does not make a fact. Yet, I’m finding through reading many other brilliant blogs, that personal experiences are so important to shaping the views of society. Through each other we connect, and we see underlying problems that need to be fixed within the society wherein we live through our similar accounts. In an equal society, this blog title would be called my thoughts as a human. Unfortunately, being a female engineer has shaped my experiences in a way that reminds me I am a woman. I wish I could say that it’s only being in a male dominated field that reminds me of this, and that I can just focus on that, but when I step into the world I also must be ever cognizant that I am a woman. If I forget, there will be something or someone to remind me of what I am, and sometimes this can be dangerous, so I must never forget. During my younger years, I didn’t understand the meaning of being a woman. I didn’t see a difference between my male classmates and me. I remember being in an advanced math group in my class and working with another male student. There was nothing to even consider about this situation. It was just two students who enjoyed math, studying math together. When I was 12, my family moved to a very conservative town. By the time I had graduated from high school, it had been made very clear to me that I was a female, and that, far beyond the different body types and sexual attractions, females are supposed to be different from males. The reasons why there is this imposed difference in the way men and women are treated need to be addressed. I’m seeing different aspects at each level of the female life that may pose barriers to success and happiness. These obviously vary with severity from person to person and in different areas of the world. I will do my best to bring to light the things that are within my reach, and I will continue to read about the things that are within yours. Why are there not more females in academia? If there is a belief that women’s brains are different when it comes to science and engineering, then how does that affect the perception of women who are already in the area of study? There is no question that we lack women in academia in many fields. In academia, women are still the minority in publications. Even with increasing numbers of enrollment of women in STEM fields, only a small fraction of publications are written by women across many fields. Part of the issue is that far fewer women want to go into academia or research than men. While 72% of women start off wanting to pursue research as a career upon entering a PhD program, 61% of men feel the same way. Yet, at the end of a PhD program the number of women drops to 37% while the number of men only drops 59%. This is a huge gap and drop in interest. As a graduate student, I can think of many different reasons why one would not want to go into academia, or continue into research. There are the politics, the competitive environment, obnoxious university policies, long work hours from teaching and getting research funding, but in the end these things seem that they would drive both men and women away. There may be other subtleties to look at when approaching this gender imbalance as well. While I have had some female professors outright tell me they have never experienced any form of harassment during the time of their professorship, I’ve also heard many female voices from the other end of the spectrum saying harassment is a huge problem for women at universities. I’ve found some interesting reads on this subject. When men and women were both asked why there were fewer women in fields such as physics, the responses were different. A study from Rice University sheds light on whether gender leads to different interpretations of discrimination and why women may choose to leave a field. An excellent blog post sums up some of these findings. The study showed that it was the women who were more likely to say discrimination was a reason for women not choosing fields such as physics. Men were more likely to cite differences in the brain between men and women for the different choices. This study exposes some of the issues surrounding discrimination and its potential for keeping women from advancing in male dominated fields such as physics. It’s a concern when the target gender is far more likely to cite discrimination as a factor for not staying in a field than the majority gender in a field. Furthermore, if there is a belief that women’s brains are different when it comes to science and engineering, then how does that affect the perception of women who are already in the area of study? There are some excellent websites out there which allow for people to put forth some of the problems women in academia face. These websites give some great insight into what it is like for women in academia, and are not just limited to the STEM fields. What is it like to be a woman in philosphy?